Cars are special. Owners take great pride in flaunting their four-wheelers. They take care of it and some even go to great lengths to make their car’s interiors comfortable and exterior glamorous. While so much is spent on buying and maintaining a car, people often fail to dedicate a part of their ‘car budget’ in insuring this asset. Traditionally, car insurance was offered through car dealers. It was renewed from them as well. However, the insurance landscape has changed. Now, car insurance can be purchased online in India easily. You can browse through the insurers’ websites, check the policy’s features, compare car insurance prices, and buy the ideal car insurance online. Buying car insurance online is quick and convenient. You can choose whether to just go for the mandatory Third-party Liability policy or widen your car’s insurance coverage with a Comprehensive Car Insurance policy and suitable Add-ons. Car insurance policies are generic in nature. Thus, they have exceptions. Add-ons are individualistic. They can be picked as per one’s requirements. You can buy one or more Add-ons to strengthen your car insurance policy. Add-ons can be bought by anyone who is purchasing a Comprehensive Car Insurance policy. You simply have to add them to your chosen car insurance plan. Add-ons cannot be purchased along with a Third-party Liability policy. Make sure to go for only those Add-ons that add value to your policy. Purchasing Add-ons does increases your car insurance premium. However, when you compare it with the cover they provide, they may not appear as costly. Therefore, you have to be meticulous while selecting the Add-ons. You have to view them practically and weigh the cover against the risk you are exposed to. What is the Engine Protection Add-on Cover? The Engine Protection Add-on Cover is designed for your car’s engine. 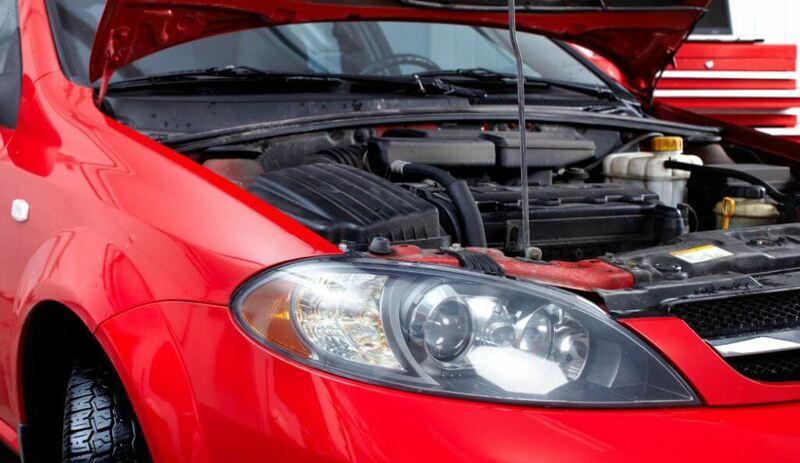 Generally, a basic car insurance policy does not provide an insurance cover for your car’s engine. Thus, with this cover, you can extend your car’s insurance coverage. Why should you go for Engine Protection Add-on? A car’s engine is a critical and an expensive part of your car. You should go for the Engine Protection Add-on to cover this crucial part. Repairing the car without insurance can prove to be extremely costly. By going for this Add-on, you will avoid paying a huge sum of money while repairing your car in case of unfortunate events. Who should go for Engine Protection Add-on? This Add-on is extremely useful for those residing in flood-prone areas. Water logging is a big problem in some of top Indian cities. If you happen to reside in such cities, going for the Engine Protection Add-on can be a good choice. What are the inclusions in an Engine Protection Add-on? Biggest inclusion of this Add-on is that it covers Hydrostatic lock. This situation arises when you fail to start a wet engine after trying multiple times. Oil leakage, gearbox damage and issues due to water ingression are also covered. What are the exclusions of an Engine Protection Add-on? Major exclusion of this Add-on is that you won’t be compensated for the loss if you try to start the engine while your car is submerged under water. Also, damages subsequent to an action (consequential loss) shall not be covered. For example, oil leak because of the accident is an exclusion. Before buying an Engine Protection Cover make sure to go through its features, inclusions and exclusions thoroughly. Different insurers might provide a different cover with slight modifications. The inclusions and exclusions might vary from one insurer to another. Some might have a restriction on the number of claims made as well. The right cover is worth the extra car insurance price you pay for insuring your precious car.